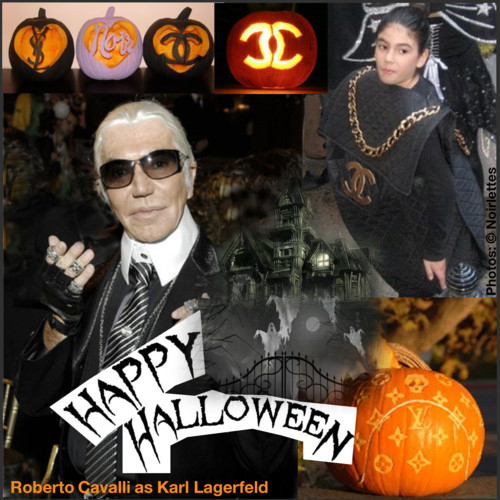 Happy Halloween 2011 – it is time to be bewitched! For all fashionistas around the globe, add a little humour and carve your pumpkins with your favourite logo or dress up as your beloved designer. In a season of dark glamour, gothic looks make an impression wether you wear them at night or during the day. Just change the accessories and off you go. My absolute favourite is this knit dress by Lanvin with puff sleeves below.